They say “you never know until you give it a try”. This time around, breaking out of my norm of being a safe traveller… I was rewarded with a richer travel experience during my first ever visit to Melbourne! While planning for our recent trip to Melbourne, I was contemplating if we would actually need to rent a car, or not. If we don’t, we’d only explore Melbourne throughout the trip. 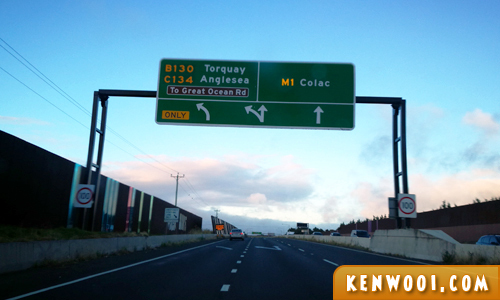 If we do, we’d be able to take control and possibly do a road trip along the Great Ocean Road. After much deliberation, we decided to rent a car via rentalcars.com. It’s a portal that connects users to some of the biggest car rental brands for a comprehensive car rental review and comparison. Book on a weekday, the rates are usually cheaper! That’s AUD57.45 (RM201.07) per day for the car. 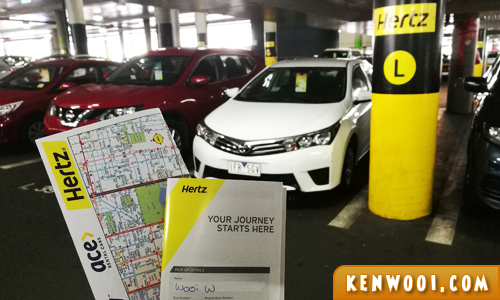 After arriving at the Melbourne Airport Terminal 2 (for International flights), we proceeded to the Hertz counter inside Terminal 1. Documents such as rental vouchers, passport, and driving license were provided for verification and processing. After that, we crossed the road to the Rental Parking area and searched for the bay where our car was parked. Before we took off, it’s important to inspect the car for dents, scratches, or damages. Our car had a couple of scratches and a minor damage around the body. 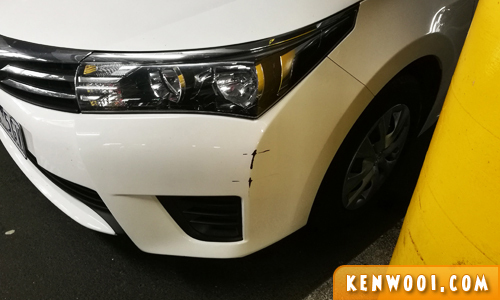 After taking photos of the car’s exterior condition, we drove to the Hertz on-site counter and met a Hertz personnel. He checked the car and acknowledged the existence of the scratches and minor damage. We were told to keep the photos as proof, if necessary, upon returning. This exercise is essential so that we don’t get charged for any existing damages. Once all formalities were sorted, it was high time to hit the road! By the way, a most common unmentioned additional cost required when driving a car… is parking. 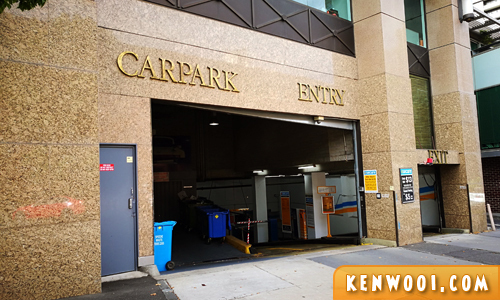 On top of our accommodation charges at Melbourne Short Stay Apartments (MSSA), we paid an additional AUD21.50 (RM75.25) per day for a designated bay at the apartment’s basement carpark. Definitely a costlier option to rent and drive overseas, but a rewarding one indeed! 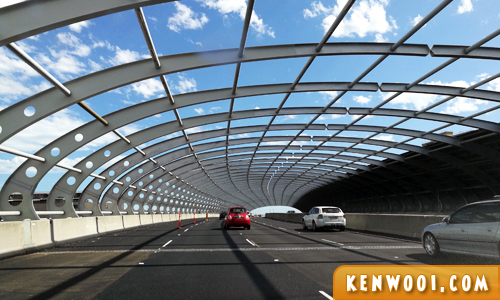 The best part about having a car in Melbourne is that we were not restricted by public transportations or fixed tours by travel agencies. We were able travel at our our pace with our self-planned itinerary, stop the car whenever we wanted to embrace a scenery, and explore off the beaten path. During the drive to Great Ocean Road, we stopped several times along the roadside to enjoy the view of the sea and waves. 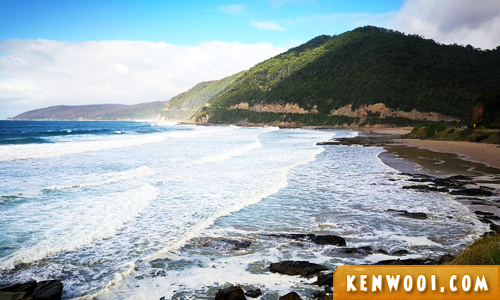 Furthermore, our self-planned itinerary brought us to some fantastic lookout points along the Great Ocean Road, such as Lorne (Teddy’s Lookout) and Apollo Bay (Marriners Lookout). If I’m not mistaken, most Great Ocean Road tours bring their travellers directly to The Twelve Apostles. After all, that’s the main destination of many, right? 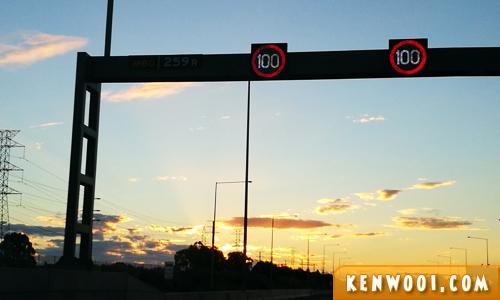 While it’s great to roam around, one must strictly abide to the speed limit in Australia at all times! It’s a known fact that the Australian police is effective in apprehending law offenders. The speed limit displayed is the maximum and no leeway is given when one exceeds the limit, even by 2-3kmph! The default speed limit in the state of Victoria (Melbourne is the capital) for the city road is 50kmph, whereas the country road is 100kmph. For our last day in Melbourne, we were faced with a big question… where do we park the car once we check-out from MSSA?! 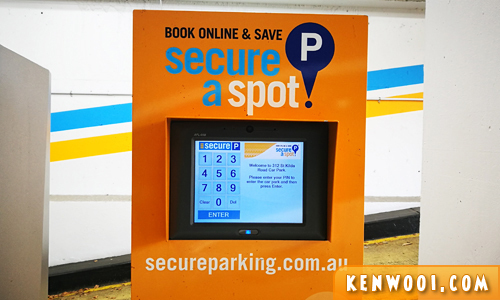 After browsing online, we managed to book a parking bay in a carpark facility managed by Secure Parking. We basically searched for a preferred parking location, paid online via credit card, and received a 5-digit Booking Pin. 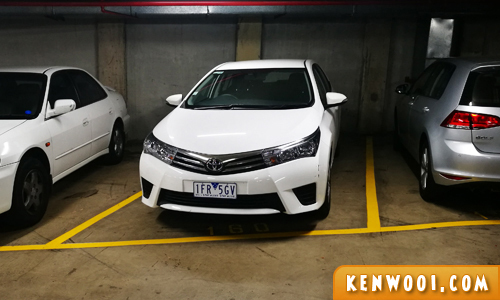 We got a parking bay at St Kilda Road, and the Early Bird Parking rate was AUD13 (RM45.50). At the Secure-a-Spot kiosk after the entrance, enter the PIN on the screen and press enter. The boom gate raised and we proceeded to park at an available un-reserved bay. There, the car tucked safely away while we enjoy our last day on foot in Melbourne city. Traffic light is a potential culprit for breaking the law, apparently cars who stopped abruptly on a pedestrian crossing will be fined! 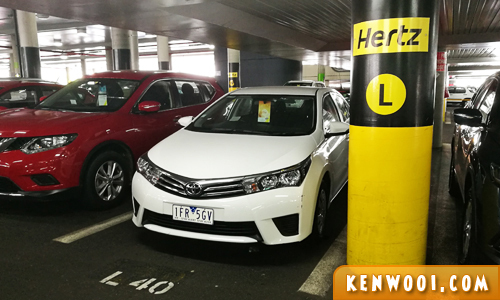 Therefore, our rented car was mainly used when we left the airport, visited the Great Ocean Road, and went back to the airport. Prior to returning the car, the fuel tank was filled up at a petrol station about 10km away from the airport. 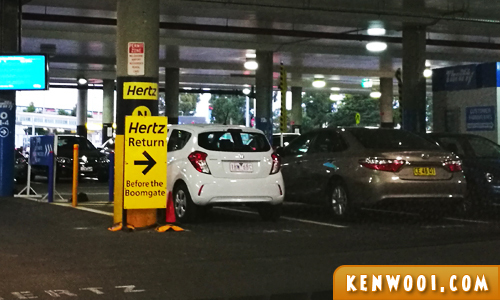 Upon arriving back to Melbourne Airport for our departure flight, the car was sent back to Hertz’s Return Section. 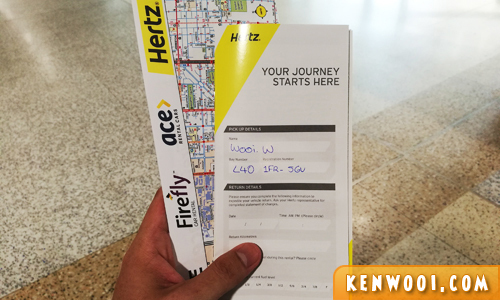 A Hertz personnel briefly inspected the car and informed us that we were good to go. In fact, I don’t think they will thoroughly check the car as long as it wasn’t involved in an accident. So yeah, this wraps up my experience of renting and driving a car in Melbourne. 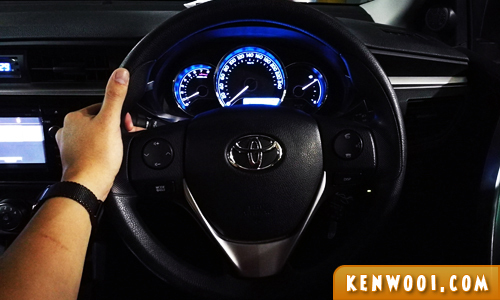 does T. Corolla you rent have speed limiters function?